"She still hasn't forgiven me for the time I hit her over the head with a shovel." 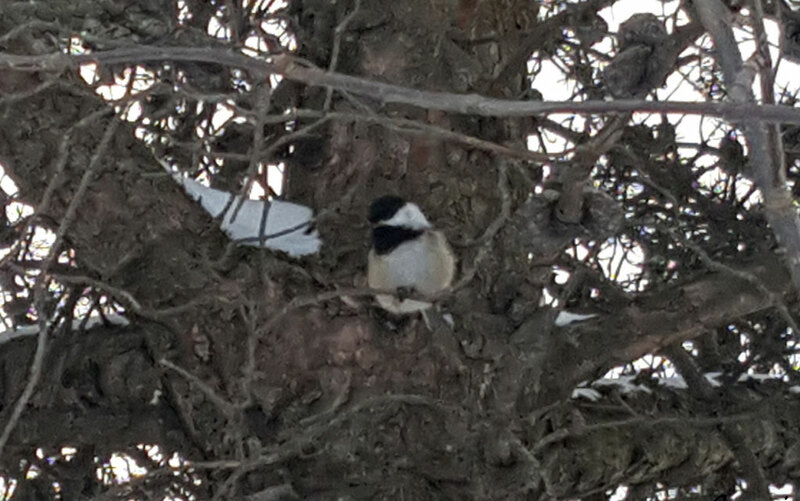 Kaylee nearly had my arm off today when she noticed this Chickadee up a tree. I’m absolutely certain that she thought it was a squirrel. She very nearly dragged me up the tree.